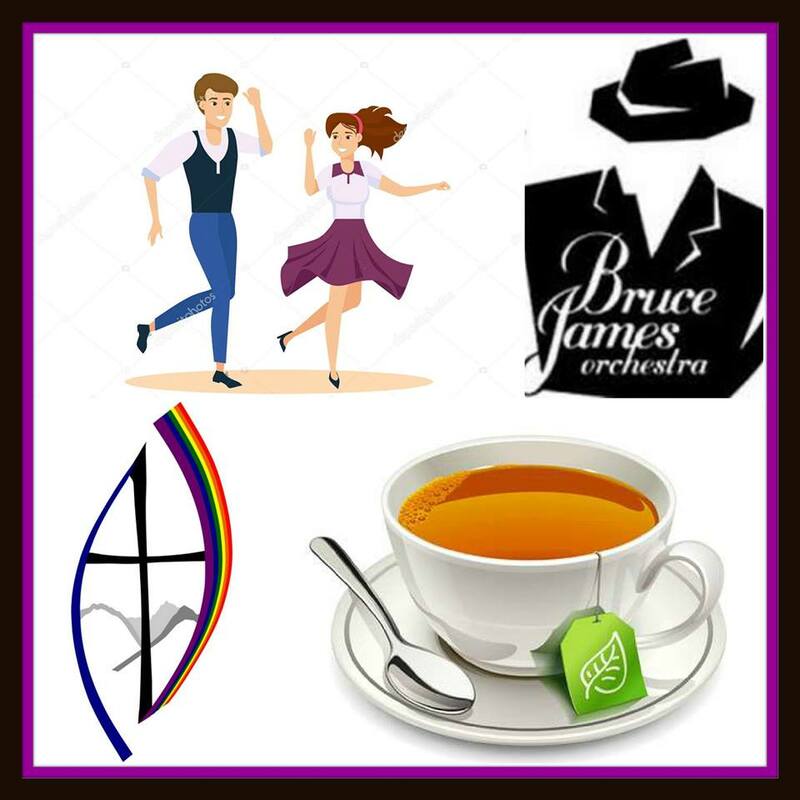 Hello fans of the Bruce James Orchestra! We have started 2017 bookings and have a couple of fantastic shows coming up! See our Gigs page for more information. We greatly appreciate all of you who follow and support us and hope to see you out to some of our upcoming performances! 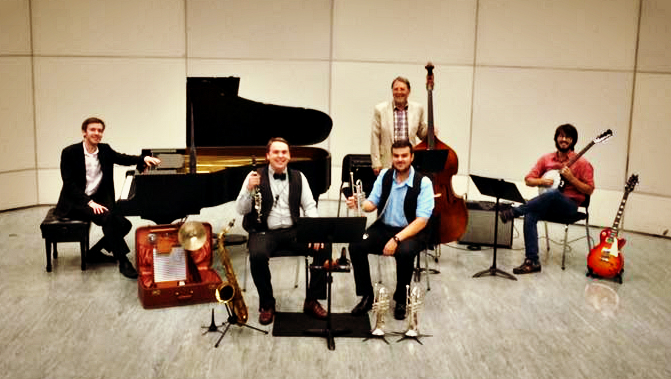 Thanks again – to all of you – for supporting our ensemble to be one of he hottest semi-professional Big Bands in the Greater Vancouver region. Here’s to great community, and great BIG BAND MUSIC (!) in 2017! 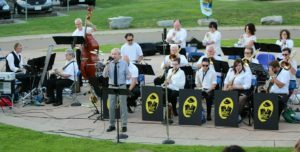 Join the Bruce James Orchestra in our final Big Band performance of the 2016 Summer Serenade concert series. We’ll be playing some of the series favourites, including requests from our audience. We hope to make this the biggest turnout of the season! Remember…this is a free show and a family and DANCER friendly event. Hope to see you there! Show runs 7:00 – 8:30PM. 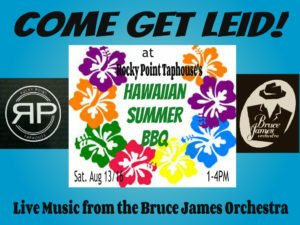 Join the Bruce James Orchestra as we perform for the Pat’s Pub & Brewhouse Summer Big Band Series in downtown Vancouver! Best Hawaiian T-Shirt contest, drink specials, and more! 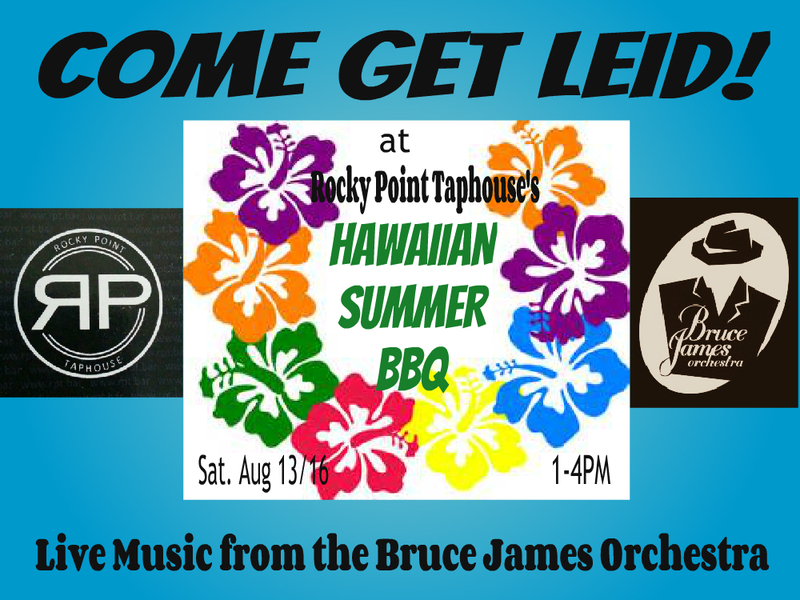 Tickets NOW AVAILABLE from a band member, or at Rocky Point Taphouse / at the door. THIS WEDNESDAY – July 27 – Special Appearance by BENNY & THE GOOD MEN! Traditional jazz served red hot! Keeping the musical traditions of the roaring twenties-and earlier-alive, Benny & the Good Men serves as a tribute to the early traditional jazz of Chicago and New Orleans that flourished prior to the Swing Era of the 1930’s. Under the direction of veteran Dixieland reedsman Benjamin MacRae, the band strives to produce an authentic sound that hearkens to the great bands of Louis Armstrong, Bix Beiderbecke, Edmund Hall, and Sidney Bechet that the influential clarinetist Benny Goodman would have grown up listening too during the jazz era, and the tail end of the age of vaudeville. The band consists of Robert Crews on guitar/banjo, Jonathan Baylis on double-bass, Strauss Whiteside on piano, Michael Radnai on trumpet/cornet, and Benjamin MacRae on reeds/washboard, with all of the Good Men being able crooners. If you’re looking for a roaring rhythm section, hot jazz, and good time, Benny & the Good Men delivers a show that will leave you tapping your feet and humming excerpts from the performance. Benny & the Good Men is available for hire for a variety of events including; private events (house-parties, birthdays, backyard events, etc. ), corporate functions, weddings and other life milestones, public events (parties, business openings, promotions etc. ), jazz/music festivals, dances and restaurants. Contact Benjamin MacRae via cellphone (1) 604.997.1643, or email macraemusicalservices@gmail.com for bookings, quotations and general enquiries. 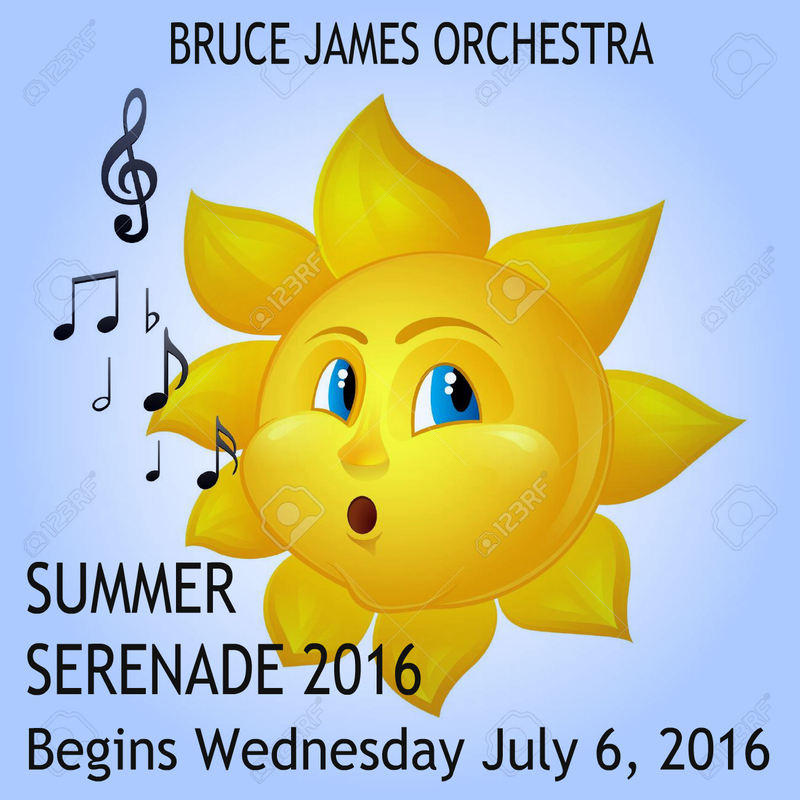 2016 SUMMER SERENADE SERIES KICKS OFF TONIGHT – WED. JULY 6, 2016! The 2016 SUMMER SERENADE outdoor concert series kicks off TONIGHT! 7PM – Spirit Square – 12027 Harris Rd Pitt Meadows, British Columbia (@ Civic Centre Rd). 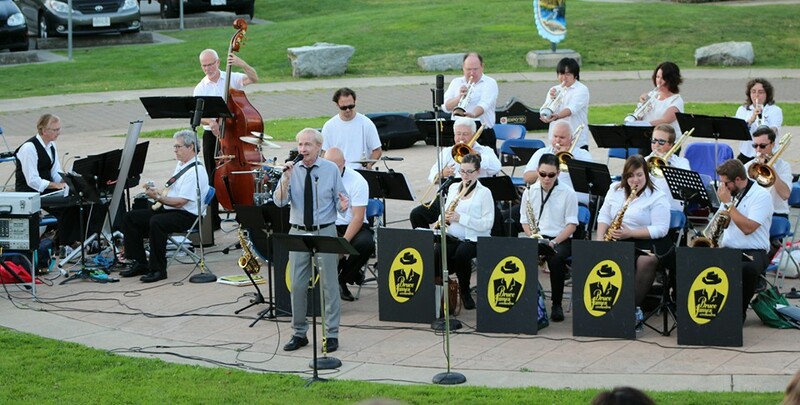 Come for a night of big band hits under the sun! Dancers welcome! Hope to see many of you out tonight! 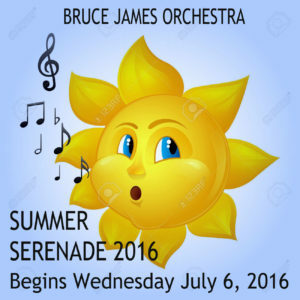 Bruce James Orchestra plays every Wednesday at 7pm July 6 – August 24, 2016. Don’t miss this FREE concert series in your local community! JOIN THE BRUCE JAMES ORCHESTRA FOR AN AFTERNOON OF WORSHIP, REFLECTION AND WONDERFUL JAZZ. Spend an hour of your afternoon listening to the area’s finest jazz and have the chance to reflect on life’s mysteries and beauties through spoken word and prayer. 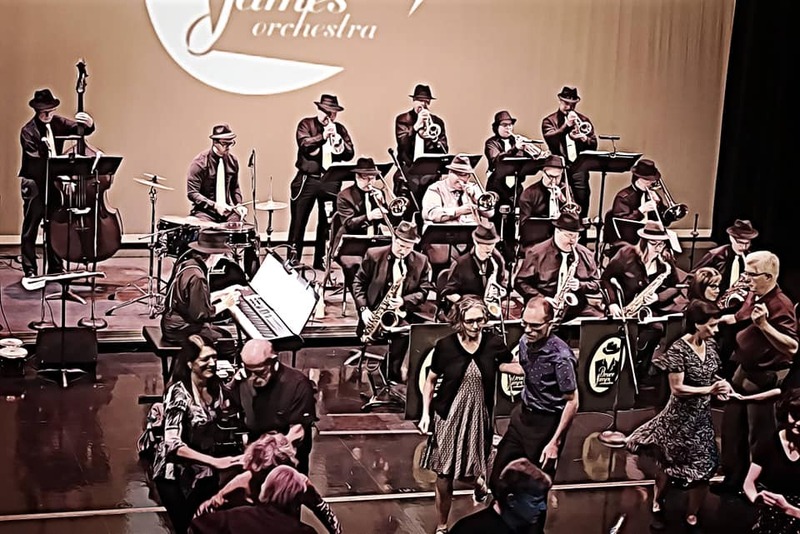 Take a breath every Sunday at 4:00pm, year round, but come to rejuvenate and be uplifted by music of the Bruce James Orchestra on Sunday, August 21, 2016. How best to deal with the HOT SUMMER? 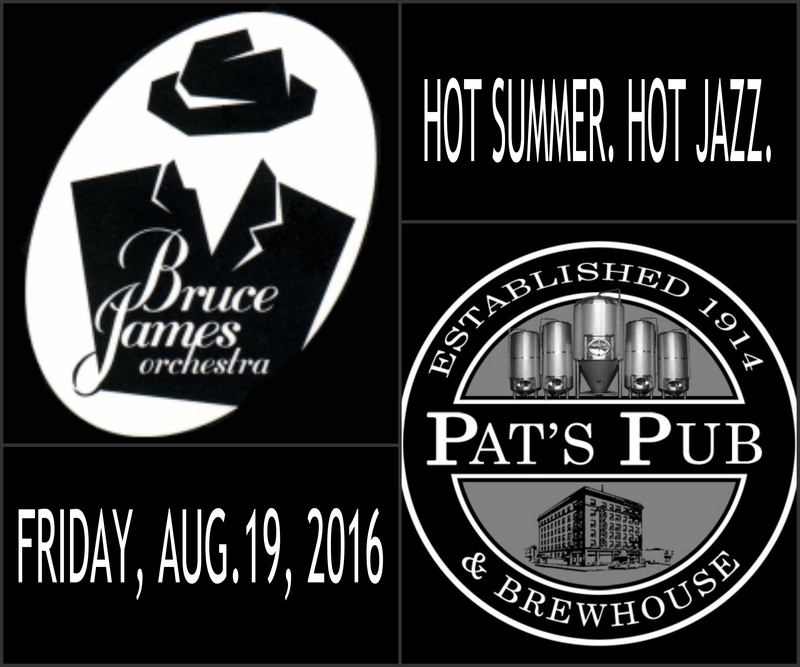 Add a COLD BEER and HOT JAZZ at Pat’s Pub & Brewhouse! 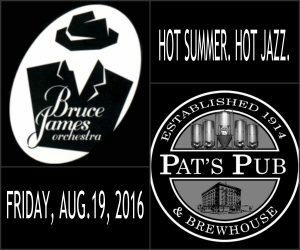 Join the Bruce James Orchestra as we perform for the Pat’s Pub & Brewhouse Summer Big Band Series in downtown Vancouver! Save the Date: Friday, August 19, 2016. 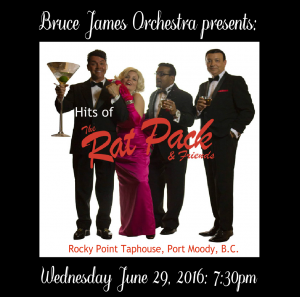 Hits of the RAT PACK & FRIENDS coming to Port Moody! Come on down to Port Moody’s beautiful Rocky Point Taphouse for a drink and good eats, and spend an evening listening to the classics of The Rat Pack and some of their musical friends, performed by the Bruce James Orchestra. Bring your friends for a night of good laughs and great music! $10 CASH COVER. 19+ EVENT. Bruce James Orchestra brings the Best of Big Band to Kits Showboat! 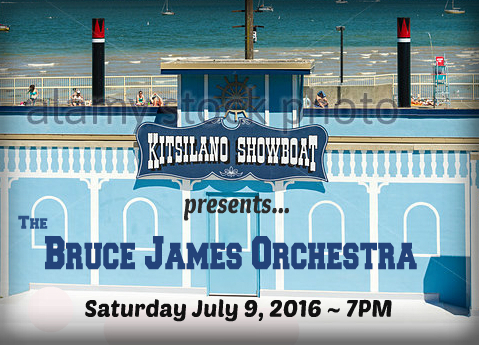 Join the Bruce James Orchestra for an evening of Big Band at a cornerstone of spectacular summer entertainment in Vancouver, BC Canada: the Kitsilano Showboat. “Kits Showboat” has been showcasing some of B.C.’s finest entertainers each summer since 1935, and with each year, strives to enhance its offerings to the local performing arts lovers in the Lower Mainland.